After a very successful show last year, I.T. Carlow Boxing Club will host Showdown in the Barrow 2 at the Barrow Centre I.T. Carlow on 06 Dec, featuring bouts between I.T. Carlow’s best and boxers from other third-level institutions. Boxing will start at 6.00 pm. The Irish Athletic Third-level Boxing Association (IATBA) are proud to announce the team of 5 student boxers which will represent Ireland at the 7th FISU World University Boxing Championships in Chiang Mai University, Chiang Mai, Thailand from October 03 – 09. The team includes Céire Smith (51Kg, Cavan), Christina Desmond (75Kg, Fr. Horgans), Gary McKenna (60Kg, Old School), Conor Wallace (75Kg, St. Monica’s) and Kenneth Okungbowa (91Kg, Athlone). This is the first time an Irish Team will enter the World University Championships under the aegis of the IATBA, since the association was founded in 2010. The only previous Irish representation was at the first edition of the Championships in Antalya, Turkey in 2004, where the Ireland boxers were Eamon O’Kane and Cathal McMonagle. The team will be supported by Coach Paddy Gallagher and Team Manager Paul Geoghegan, and will depart for Thailand’s second city on Friday September 30. The Championships glove off on Monday October 3rd. Achievements: Multiple Irish titles, IATBA title. Represented Ireland at 3 World & 2 European Elite Championships. Achievements: Multiple Irish titles, IATBA title. World youth silver medal, European youth bronze medal and competed in the Youth Olympic Games in 2014 (4th Position). Achievements: Multiple Irish titles, IATBA title. Represented Ireland at 2014 European Union Championships. Gary represented the IATBA at the 2016 Haringey Box Cup, coming away with a hard earned silver medal, losing out to eventual Haringey Best Boxer 2016, Gary Cully (St. David’s, Naas). Achievements: Multiple Irish titles, 2 IATBA titles. Won Irish Intermediate title and Elite finalist in 2015/16. 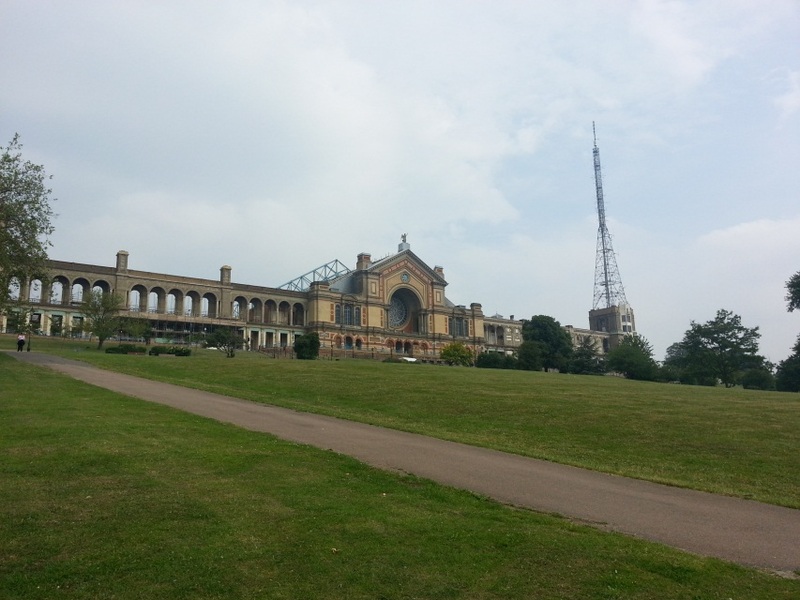 Conor represented the IATBA at the 2016 Haringey Box Cup, winning a silver medal. Kenneth Okungbowa, with Coach Rory Parkes, after winning the 2016 Haringey Box Cup 91KG Gold Medal. Achievements: IATBA title. Won Irish Intermediate title and twice Irish Elite finalist. Kenneth represented the IATBA at the 2016 Haringey Box Cup, winning a Gold Medal, and recently won the heavyweight title at the 2016 Celtic Box Cup in Dungarvan, Waterford, for his club Athlone BC. Student Sport Ireland, in association with the Irish Athletic Third-level Boxing Association, invite applications from suitably qualified candidates for the role of Team Coach to the Ireland Boxing team participating at this October’s World University Boxing Championships. Deadline for applications is Friday 9th September at 12pm. 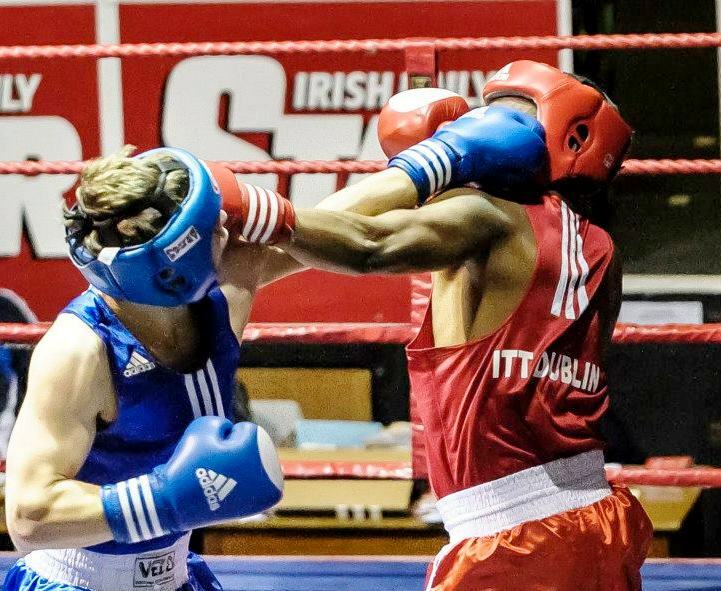 Student Sport Ireland, in association with the Irish Athletic Third-level Boxing Association, invite applications from suitably qualified candidates for the role of Team Manager to the Boxing team participating at this October’s World University Boxing Championships. The closing date for applications is 5 pm on Monday 25th July. 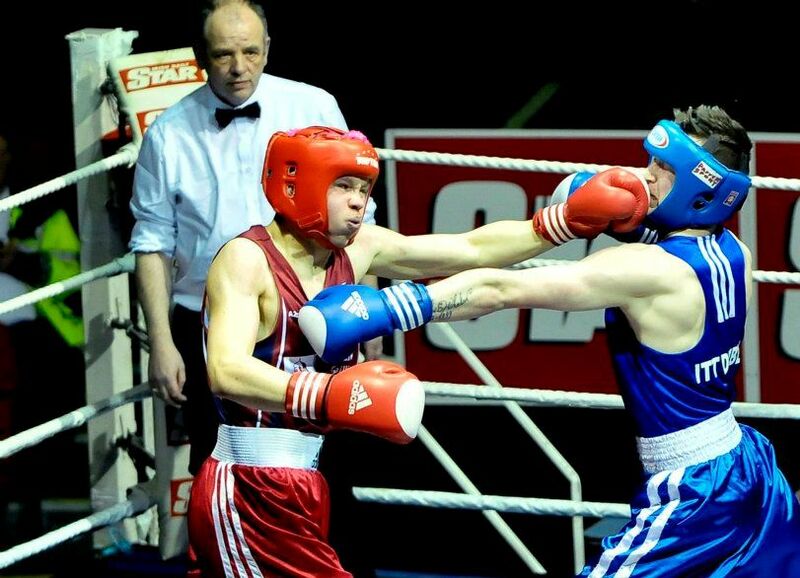 The IATBA Championships 2016 concluded at the National Boxing Stadium on Saturday March 19 with 49 new Irish Student Champions. The overall standard of competition was very good, with plenty of evenly matched contests and high skill levels on show. Congratulations to all the winners, their Coaches and Clubs, and commiserations to those boxers who came up short. The IATBA Committee would like to wish all students who entered the Championships the best of luck in their upcoming exams. The results of the finals are available here: IATBA_Finals_Result. Sean Duffy, Ian McShane, Brian Wallace, Malachy Scott, Mick Gill, Brian Anderson, Jim McCole, Fergal McKenna, James T Fahy, Stephen Molloy, Dominic O’Rourke Sr. and Paul Archbold. Special mention to Paul Williamson (Curragh BC/Leinster) for his assistance with the entries, draw and running the AIBA Computer Scoring System during these Championships. 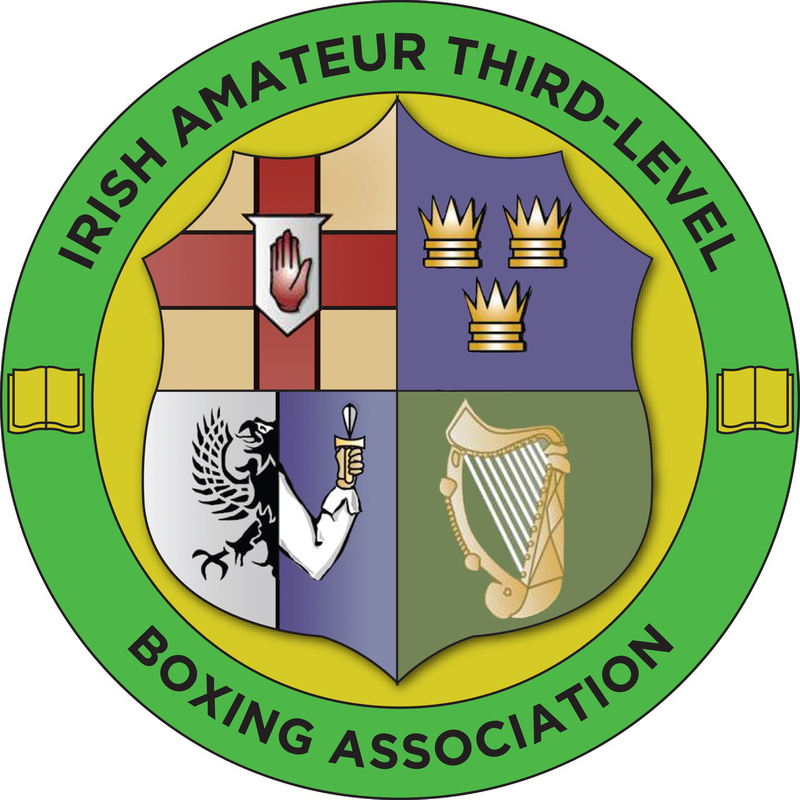 The AGM of the Irish Athletic Third-level boxing Association (IATBA) will be held at the National Boxing Stadium, 145 South Circular Road, Dublin 8, on Saturday April 16 th 2016. All notices of motion should be forwarded to the Hon. Secretary of the IATBA, by email to iatba2010@gmail.com, on or before Saturday April 2nd 2016. The finals of the IATBA Championships will be held tomorrow, Saturday 19th March, at the National Stadium, South Circular Road, Dublin 8. Weigh-ins are from 9:30 to 11:00 a.m. for all Boxers. Boxing is scheduled to begin at 12:00 p.m. There will be a €5 entrance fee on the door for spectators. The 2016 IATBA Championships for College & University students will conclude on Saturday 19 March with 25 Finals to be contested at the National Stadium, Dublin. Boxing is scheduled to start at 12 pm. There are 6 outstanding semi-finals which will be boxed on Friday 18 March, also at the National Stadium. Boxing will begin at 8 pm sharp. Boxers weighing in on Friday must advise in advance which weigh-in they will be attending for by Email to iatba2010@gmail.com. Boxers must present clean shaven for weigh-ins and contests, and red or orange coloured gumshield are strictly prohibited. All contests boxed to AIBA Open Boxing Rules. The 2015 Third-level Open Boxing Tournament concludes tomorrow, March 22nd, at the National Stadium, South Circular Road, Dublin 8. Boxing will begin at 11 am sharp. All boxers are requested to be present and signed in before 11 am. Entries are now officially closed for the tournament. 74 student boxers, 63 male and 11 female, entered the event, from 17 different third-level institutions. The venue for the first day of competition is Saint Michael’s Boxing Club, Canal Walk, Woodstock Street, Athy, Co. Kildare. Draw will be performed immediately after the weigh-in. There will be a break after the draw before boxing begins. Schedule of boxing is contingent on entries and will be announced after the draw. Start of boxing is anticipated to be 1:00 – 1:30 pm, circumstances allowing. Best of luck to all taking part. The contests for the semi finals of the IATBA Championships are available at the link below. Boxing starts at the National Stadium at 11 am. Hot on the heels of the IATBA Intervarsity comes the IT Carlow Boxing Club “Fight Night” on Thursday March 7th, always one of the best college shows of the year. There’s still time to enter! It would be a great tournament for boxers who missed out on a contest at the IATBAs. Open Novice Competition for student boxers – under 6 fights (predominately for novice boxers but students with a higher number of contests can be accommodated also). Students must produce Boxers Record Card (Medical Cert) at the weigh-in. Boxer’s name, Institution, No. of bouts, Exact Weight, Moblie No. (also Coach’s mobile). The Finals conclude tomorrow at the National Stadium with 17 finals down for decision. Weigh-in at 0800 – 0900 am in the ringside with competition commencing at 10.00 am. Please ensure that you bring as much support as possible to the finals at the home of Irish boxing. The 2013 IATBA Intervarsity opens have been the biggest yet, with over 100 entries from student boxers from all over Ireland. The boxers on show range from novice right through to national champions. The IATBA opens will conclude this weekend at the National Stadium with 18 finals down for decision on Sunday. Semi-finals will be held on Saturday, with the weigh-in from 10.30 am to 11.30 am, and boxing commencing at 12 pm. Weigh-in for Sunday’s Finals will take place between 8 am – 9 am with the boxing commencing at 10 am. The order of the program is subject to change. Best of luck to all of the competitors! The IATBA Intervarsity Opens conclude next weekend with the semis and finals at the National stadium. Weigh-in on Saturday will be from 10.30-1130 am. Boxing to start at 12 pm. There will be a €5 cover charge for entry to stadium on both days. Boxers must make weight category they have entered each day. Weigh-in on Sunday from 0800-0900 am. Boxing to commence afterwards.